THE consortium that has seized control of Trans Hex plans to take the company private because its earnings are “too lumpy”, said BDLive citing Piet Viljoen, chairman of RAC Investment Group. 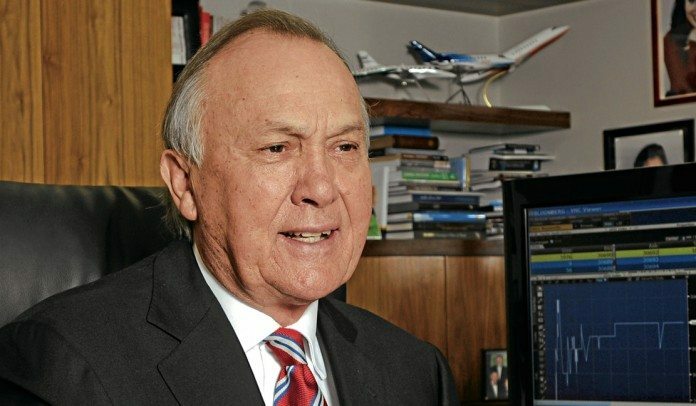 Viljoen has joined forces with Christo Wiese who told the newspaper that he saw “… great potential for diamonds going ahead”. “The opportunity arose and some of my family companies decided to get involved. I’m not aware of the availability of other diamond companies,” Wiese told BDLive. “It’s too early to spell out a strategy,” he added. “I was involved in diamonds 30-odd years ago and I’ve always had an interest in them. I owned the Ochta diamond mine, which then subsequently became part of Trans Hex,” he said. Said Viljoen: “This is an alluvial diamond mining company and the earnings are lumpy, with big losses or big profit. The market doesn’t like that. From time to time when it starts a new project … it needs capital,” he said. The consortium, which includes Wiese’s Magenta Cream and Metcap 14 Proprietary Ltd are to lodge an offer to minorities in Trans Hex after building a beachhead of 72.28% in the Johannesburg-listed diamond mining company. In an announcement on August 8, Trans Hex said RAC Investment Holdings had formed a consortium with unlisted entities Magenta Cream and Metcap 14 Proprietary Ltd which had bought 47% of the company (23.54% each). Including RAC’s shares in Trans Hex, the consortium has a 72.28% stake in Trans Hex. Wiese’s participation in the consortium would represent a return of the protean businessman to diamond mining after he famously out-foxed Remgro chairman, Johann Rupert, for Ocean Diamond Mining (ODM) in the Nineties. BDLive said Wiese had bought about 50 million shares in Trans Hex giving him 50% of the company. Together with RECM and Calibre’s stake, the consortium would have 75%. The offer to minorities could be between R3.90 and R3.94 per share, which one shareholder told BDLive was a “great offer”. It would take about R100m to buy out the remaining shareholders and take the company private, it said. Let’s hope he can do what Remgro could not! Then again, he’s done a lot more recently than they have so he has a good chance. He also out manouvered them at ODM so TSX will be interesting to follow, even if it is privatised. Hope Dr Wiese will also be prescribing some “sweet equity” here, to help against the night sweats that have been ailing Transhex shareholders. Wieses next target might be Namakwa Sands.